Based on Leo Tolstoy’s novel. Anna, facing a lifetime of unhappiness in a marriage void of affection meets a dashing military officer, Alexey Vronsky. Her story is paralleled by that of strong-minded Levin and charming Kitty, frivolous Stiva and loyal Dolly and their worlds are all falling apart. “There are as many kinds of love as there are hearts” says Leo Tolstoy in his timeless novel. There are as many adaptations of Anna Karenina, as there are actors and directors. 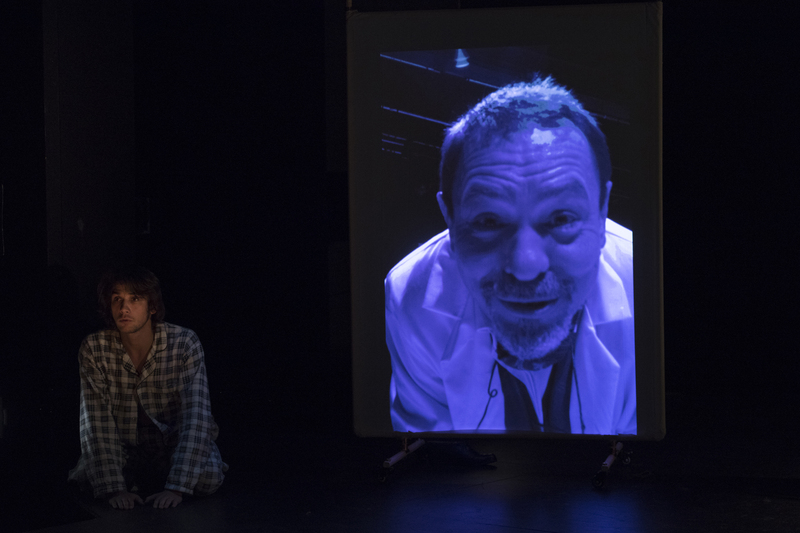 London based Russian company Xameleon Theatre is back with the true theatrical roller coaster. 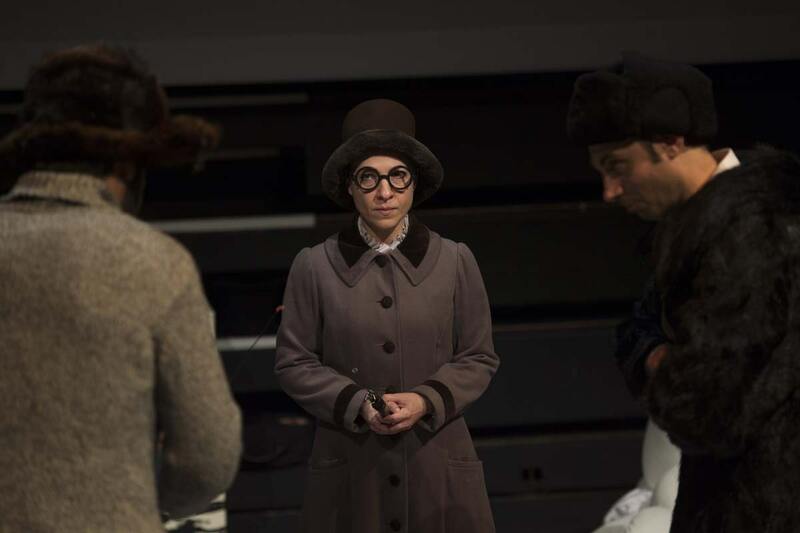 Each of 4 actresses performing in the play are playing not only Anna Karenina, but also all other characters of the novel, including male characters. This adaptation of Anna Karenina is not a period drama, neither it is a tale of the distant past. It is a story about society, faith and love, told in a contemporary way. Nearest stations: Marylebone (Bakerloo, National Rail). The station is within 7 minute walk. Based on Nikolai Gogol’s novel and Pyotr Ilyich Tchaikovsky’s diaries. Performed in Russian with English subtitles. Did you know that the Spanish King in disguise is pushing papers in an office in Saint Petersburg? Did you know that by falling in love with the daughter of your boss, you start understanding dog’s language? Is it true that the Moon is made in Hamburg and if you hear the steps of The Grand Inquisitor, you should hide under the chair? 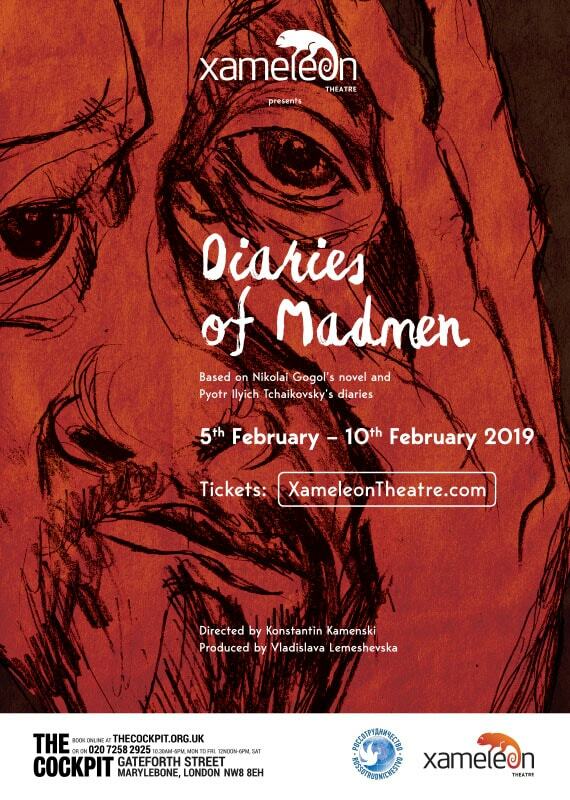 Find out in a new adaptation of Nikolai Gogol’s novel by London based Russian theatre company Xameleon Theatre. Re-imagined Russian classical farcical novel is a funny and brutal exploration of a civil servant’s Poprishchin struggle to keep a grip on reality. Another civil servant Pyotr Tchaikovsky, who later became one of the greatest Russian composers, also had a complicated relationship between his inner world and reality. His personal diaries reveal his daunting self-doubt and loneliness. Director Konstantin Kamenski combines the stories of two civil servants, and explores the relationship between genius and madness, hopelessness and the desire to escape into the imaginary world. Совершенно удивительный спектакль театра Хамелеон “Записки сумасшедших” удалось посмотреть вчера. Это безусловно выдающееся событие в жизни русского (да и не только русского!) театрального Лондона. Во-первых, просто гениальная идея совместить “Записки сумасшедшего” Гоголя и Дневники Чайковского (идея Константина Каменского). Во-вторых, это все очень талантливо перенесено на сцену, а популярная и гениальная музыка Чайковского (также как и графическое изображение, присутствующее в спектакле) органично вплетена в постановку и звучит именно дополняя, а не перебивая/затмевая (как это иногда бывает) великолепную актёрскую игру звёзд русского театра в Лондоне Олега Сидорчика Oleg Sidorchik и Ирины Кары Irina Kara. Собственно, в третьих, это как раз и есть просто невероятная актерская работа и удача Олега и Ирины, играющих на высочайшем профессиональном уровне, совмещая приёмы Станиславского и Брехта. Потрясающе!!! Все молодцы, но Константин Каменский – просто гений! Безусловно, это лучшая лондонская постановка, которую я когда-либо видел здесь в Лондоне на русском языке. Уверен, спектакль ждёт большое будущее и международные театральные призы – главное только, чтобы авторам этого выдающегося (без преувеличения!) спектакля, а также всему замечательному коллективу театра, сопутствовала удача! P.S. Забыл отметить, что и субтитры – перевод на английский – как мне показалось, были на высоте! Очень хороший перевод и правильный английский – так что, и переводчику или тому, кто адаптировал перевод «Записок сумасшедшего» Гоголя к тексту самого спектакля, тоже огромное спасибо и благодарность! Сквозь все преграды – вплоть до небывалых по субботам в Лондоне пробок – добралась до спектакля “Записки сумасшедших”. В результате впала в полный экстаз, названный великим Аристотилем красивым словом катарсис. Спектакль потряс и понравился (местами до выноса мозга). Моя соседка Татьяна, в какой-то момент заплакала. Достучались!!! Затронули какие-то особые душевные струны (а у каждого они свои). На сцене два актёра Олег Сидорчик (Поприщин) и Ирина Кара (безмолвная служанка Мавра) — слаженный, потрясающий тандем! Минимум декораций, костюмы, освещение, оригинальное аниматорское оформление – всё заслуживает восхищения. И белая верёвка…символизирующая почти всё! Спасибо всему творческому коллективу и режиссёру Константину Каменскому (Konstantin Kamenski). Невероятно. Чудесно глубоко. Влюблена в режиссуру и сценографиию. Не ожидала. 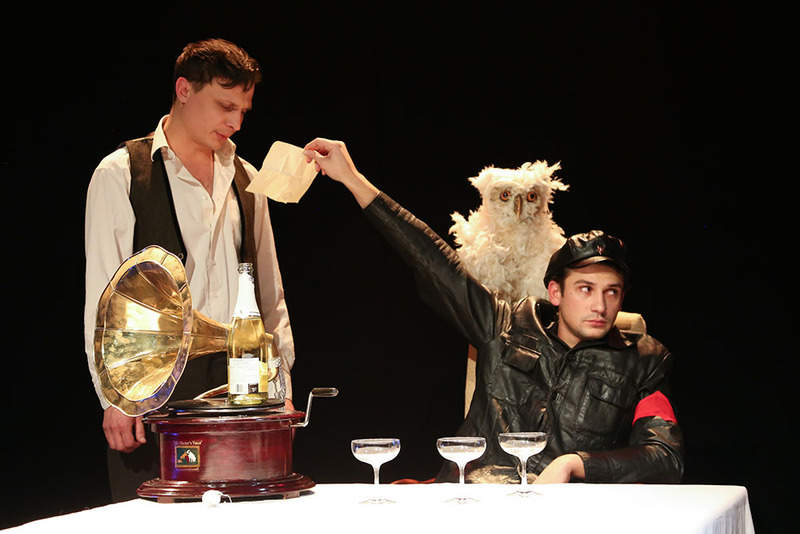 Xameleon Theatre is presenting its previously sold-out show – A Dog’s Heart – an interactive, contemporary and original adaptation of Master and Margarita’s author Mikhail Bulgakov’s satiric masterpiece. 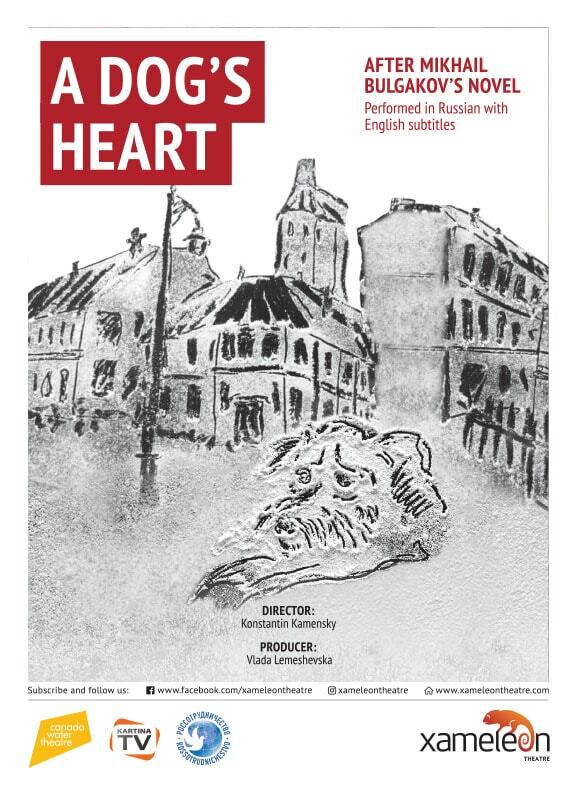 A Dog’s Heart written in 1925, set in the surrealistic world, and featuring a stray dog named Sharik who takes human form as narcissistic incarnation of the New Soviet Man, was banned in Russia for over 60 years for its controversial portrayal of the social clash between the old and the new generations. The plot of this story, traditionally interpreted as an allegory of the Communist revolution, sounds surprisingly relevant in today’s world, by examining the struggle between opposing social classes and their conflicts. Yesterday first time I experienced Xameleon Theatre; I saw play ” A Dog’s Heart”. It was enjoyable and funny performance . One of the Best play I saw! Recommended to anyone! 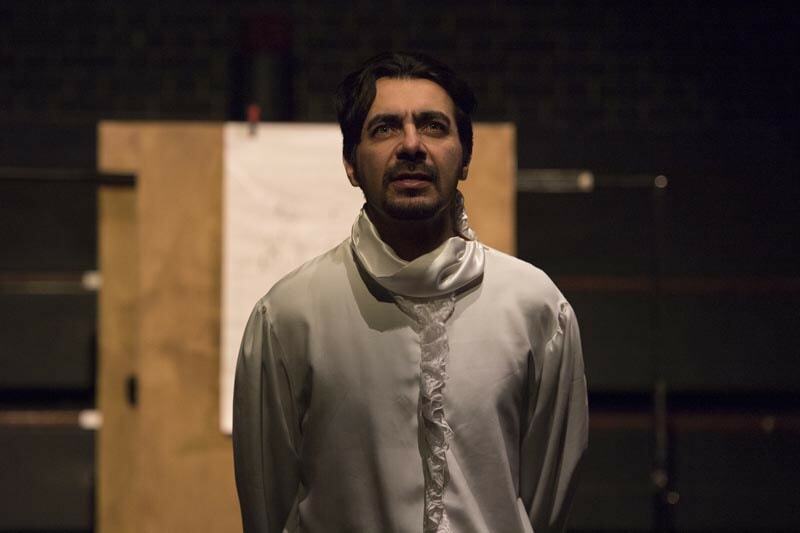 Directed by renowned Central Asian theatre director Ovlyakuli Khodzhakuli, this play talks about love, responsibility and loyalty in a simple and non-dogmatic way by bringing us back to the heart of what truly matters. This philosophical tale is intended for children and adults alike – as the author wrote “All grown-ups were once children… but only few of them remember it”. 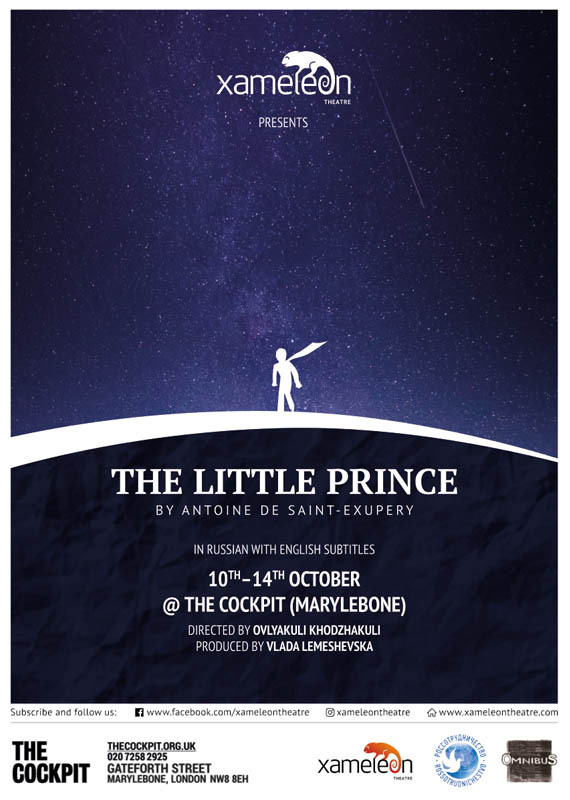 Saturday performance at the Cockpit ‘The little prince’ -heart, love, life❤️🌹My favourite book and #xameleontheatre made my day! Thank you for beautiful memories of childhood revived in this play! Вечные вопросы любви, счастья, заботы о ближнем, выраженные в простых репликах маленького принца позволили пережить моменты детства и юношества! Маленький принц, роза 🌹 и пилот 👨‍✈️- аплодисменты! Самолёт ваш вообще улётный! ✈️ Жду следующего! Удивительный, ни на что не похожий спектакль! Давно не получала такого погружениям в постановку. Игра актеров, свет, музыка, каждый жест – все на своём месте! Спасибо театру Хамелеон! Маленький принц- Спектакль для внутреннего ребёнка. В прошлом году я уже была на этом представлении, но есть у меня такая привычка перечитывать и пересматривать. А тем более, что Спектакли они как дети, растут, набирают энергии и изменяются. Энергетика принца меня просто спасла в этот грустный и дождливый день Настолько солнечное исполнение, в каждом движении и слове. Очень интересные находки работы с залом. Столько доброты и мудрости вы вложили в этот проект, ребята вы меня исцелили вчера от хандры! Я правда не удержалась и смахнула слезу от последней сцены, но это было так чувственно красиво и до самой глубины души. Plays from the Russian speaking world. New Russian Drama Week is going to showcase some of the most important Russian speaking drama of the last 25 years. 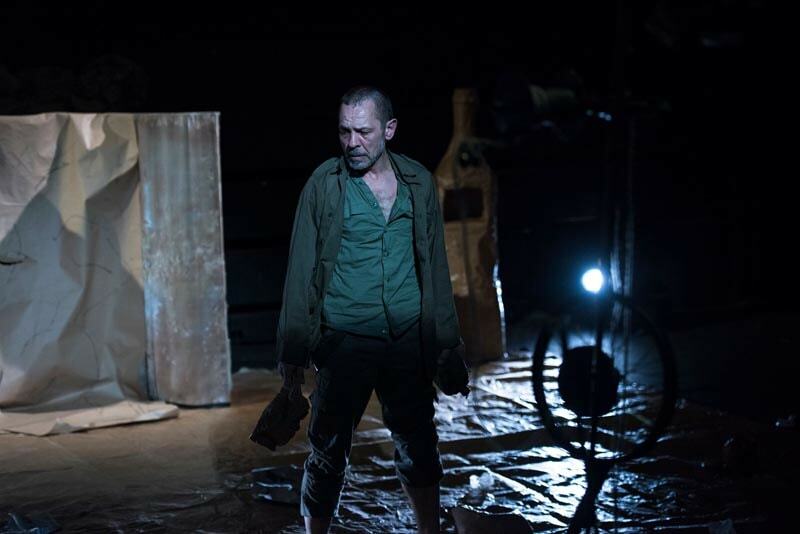 Plays from Russia, Ukraine and Belarus that will be presented have previously won various international competitions and were staged in theatres across Europe and the US. 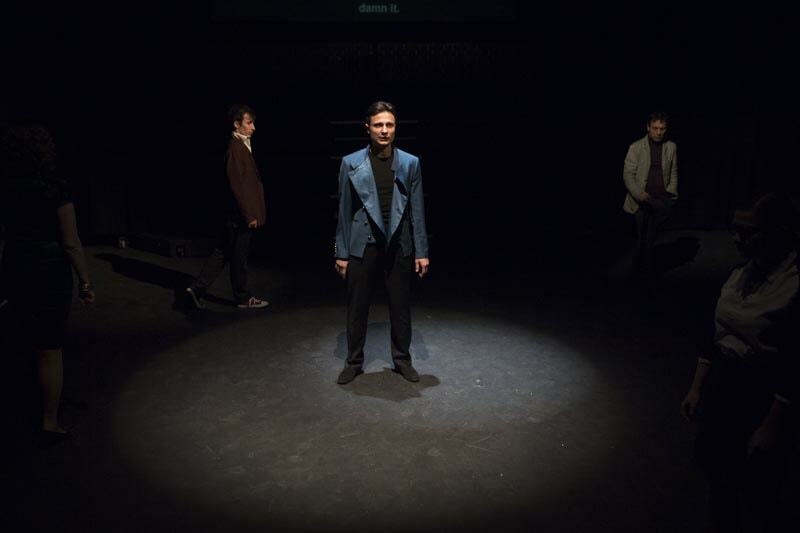 Three out of the five plays being part of the New Russian Drama Week have never been performed in the UK. Rehearsed readings will be followed by Q&A and conversations with the director and the cast after each performance. In English with Russian surtitles. Translated by John Freedman. 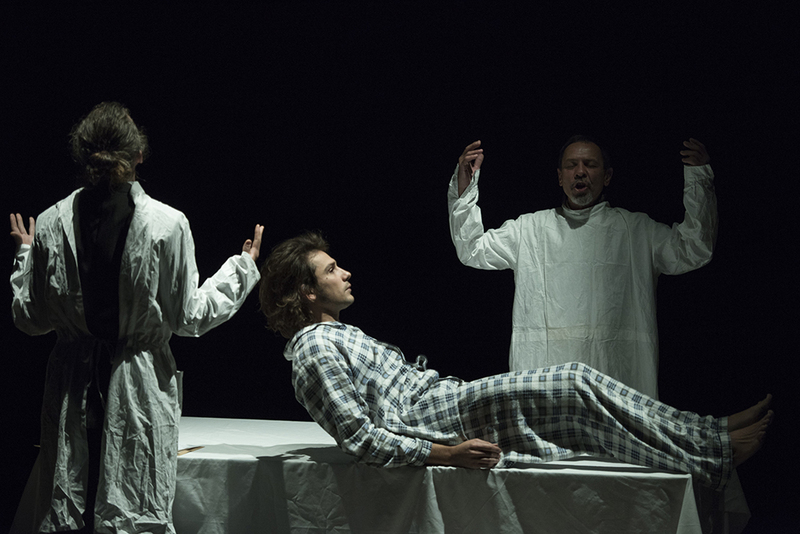 Written in 1996, Tanya Tanya is probably one of the best known contemporary plays of that decade in Russia. 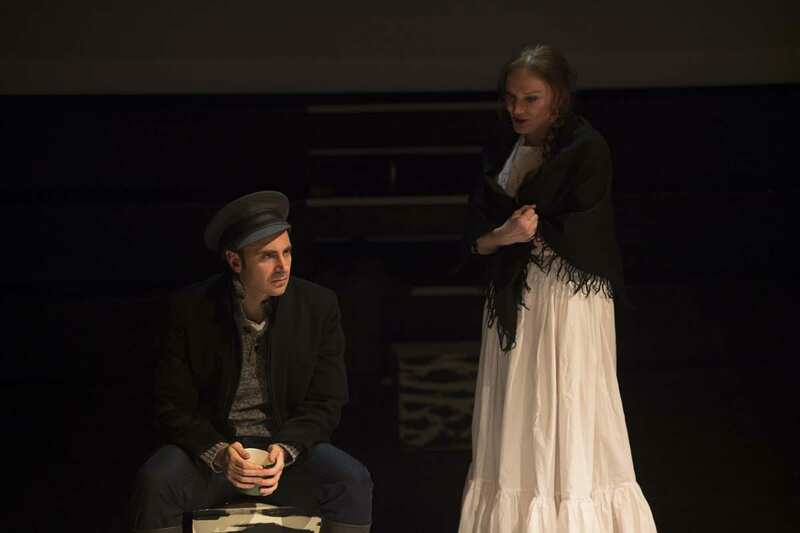 Famous Fomenko theatre in Moscow performed it to a great success and Olga Mukhina was praised for her unique style and called “new Chekhov”. 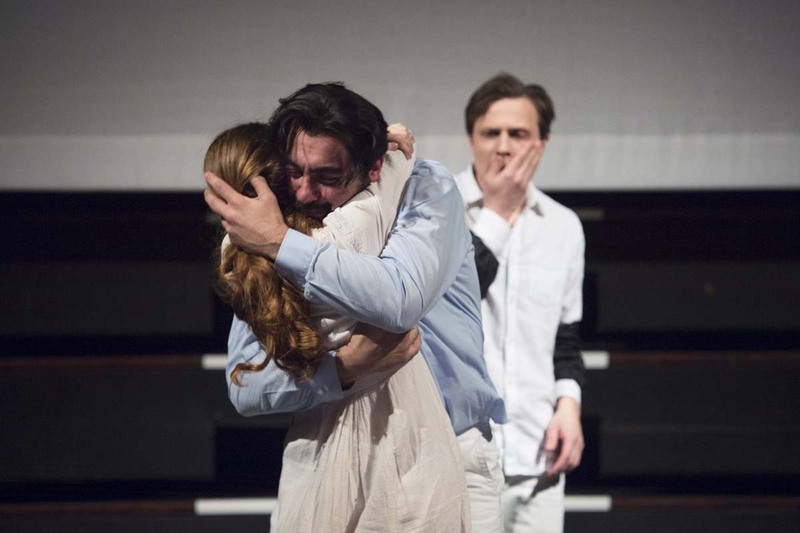 The play is considered the starting point of New Drama movement in Russia. 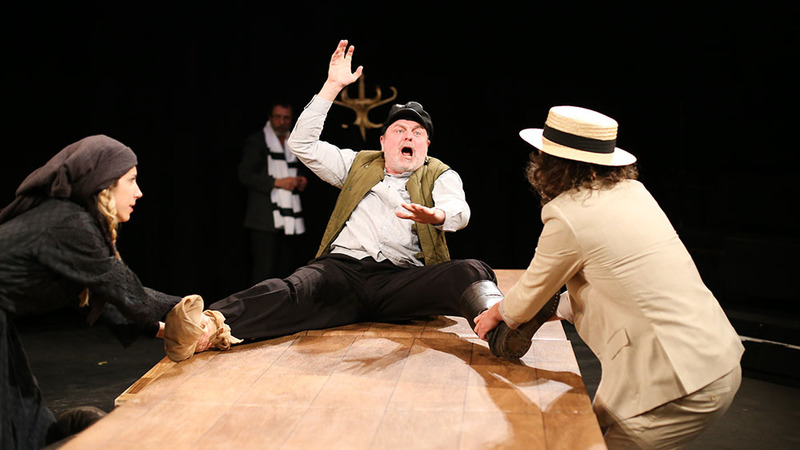 According to the critic and translator John Freedman, “This is the play that broke the vicious circle, that proved to large numbers of people with disparate backgrounds, styles and tastes, that a contemporary play could look, sound and feel good when performed on the stage”. Sensitive, light, atmospheric and funny — Tanya Tanya was staged in countries across Europe and in the US, but never previously in the UK. Cast: Vlada Lemeshevska, Helen Baranova, Aleksandra Tsarkova, Lev Levermore, Nemanja Oskorus, Victor Averyanov, Eimas Minkelis. In English. Translated by Sasha Dugdale. You live your life the best you can and then a war breaks out in your country. Impossible to ignore, war is something no one can escape – man, woman, child, artist, intellectual or an elephant, dead or alive – you have to respond the best way you can. Will Tomorrow ever come? Is there a tomorrow? Aren’t all tomorrows truly impossible during the course of today? Natalia Vorozhbyt is one of Ukraine’s most established playwrights. She was born in Kiev and studied at the Moscow Literary Institute. 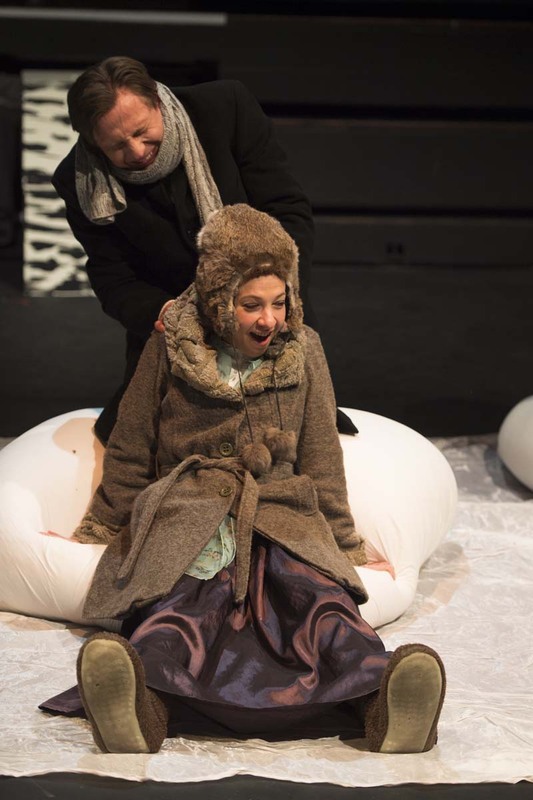 Natalia has been a member of the International Writers Program at the University of Iowa (USA) and International Playwright Residence at Royal Court Theatre (UK). Vorozhbyt is an author of more than 20 plays, which were performed in Ukraine, Russia, Latvia, Poland, Germany, the US and the UK. 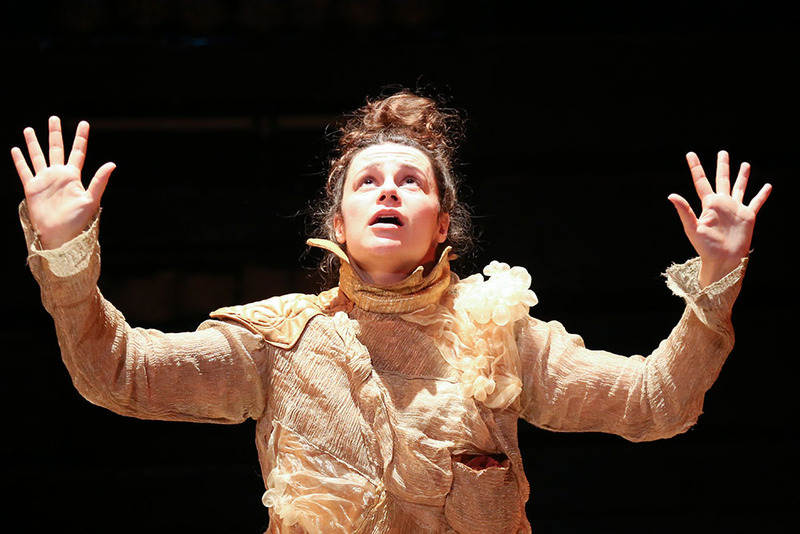 In the UK her plays were performed at The Royal Court, the Royal Shakespeare Company, the Royal Exchange and the National Theatre in Scotland. Cast: Aleksandra Tsarkova, Andrew Byron, Louise Hadley, Irina Kara, Lev Levermore and Vera Horton. Читка на русском языке без субтитров. One of the most influential playwrights in Russia today, Yaroslava Pulinovich, was born in Omsk, Russia in 1987, into a family of journalists. In 2009 she graduated from the Yekaterinburg Theatre Institute, where she trained under Nikolai Koliada. 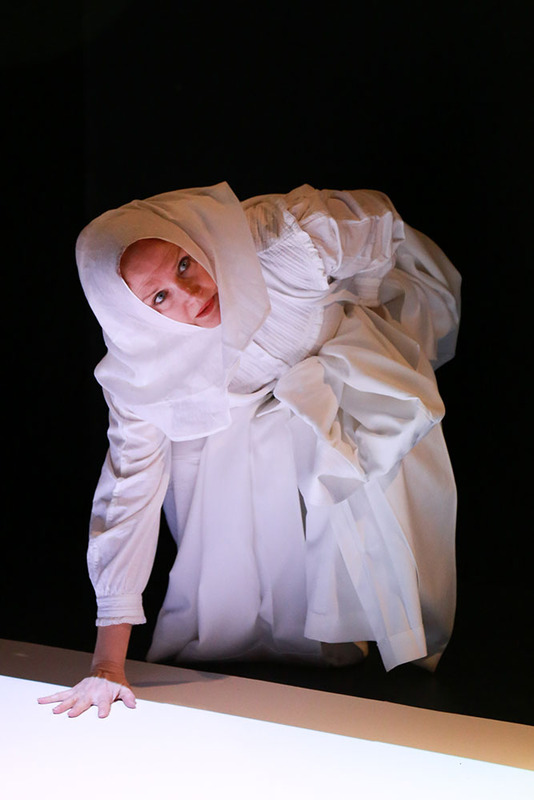 Her plays have been performed in the UK, the US, Poland, Estonia, Ukraine and in over forty theatres across Russia: in Moscow, St Petersburg, Omsk, Krasnoyarsk and many other cities. Yaroslava’s plays won various international contests including the Voice of a Generation Prize, the Debut Prize, the Eurasia Prize, the Best New Play award at the Golden Mask Festival, and the Harlequin Prize. Cast: Oleg Sidorchik, Irina Kara, Vera Horton, Alexey Shedko, Oleg Hill, Dmitry Turchaninov, Vlada Lemeshevska. 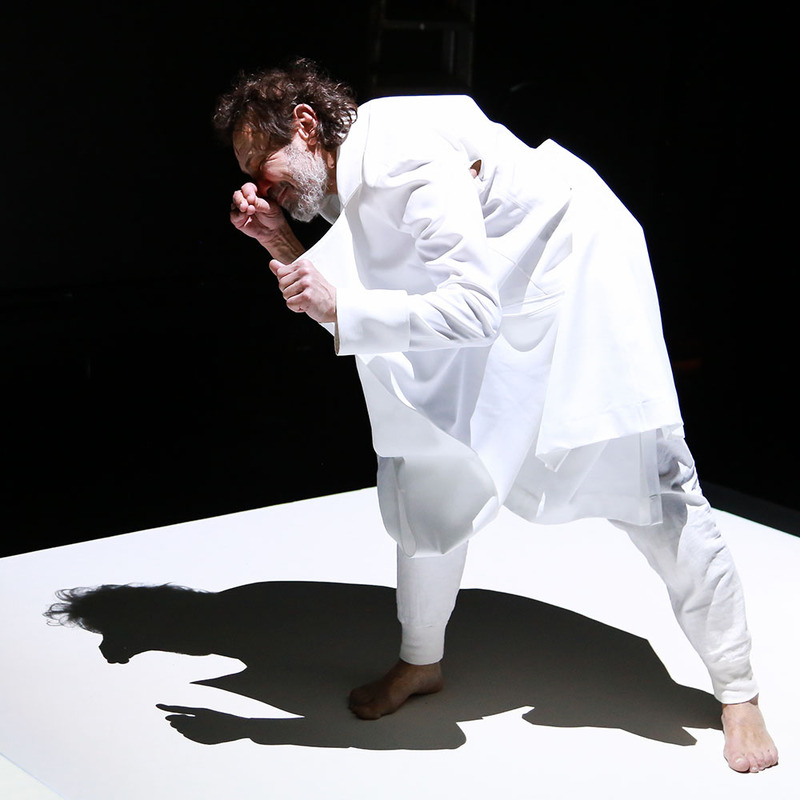 Pavel Pryazhko’s highly distinctive plays have won him several major Russian language theatre awards and have been presented all over Europe. Andrew Dickson from The Guardian called Pryazhko “a writer to watch” as “he knows how to leave the most profound things unsaid”. 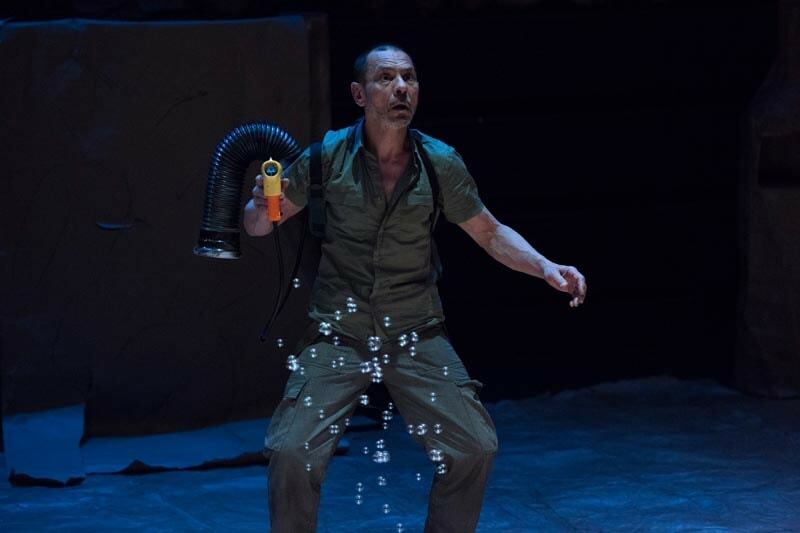 However, Pavel Pryazhko is fairly unknown in the UK: apart from one rehearsed reading at the Royal Court in 2011 and production of Harvest at Theatre Royal Bath and Soho Theatre in 2015 his plays haven’t reached the UK yet. One of the most important traits of Pavel Pryazhko — is the ability to hear his time. For us, his contemporaries, to watch his plays — is an excellent opportunity to look at ourselves and the kind of society we live in. 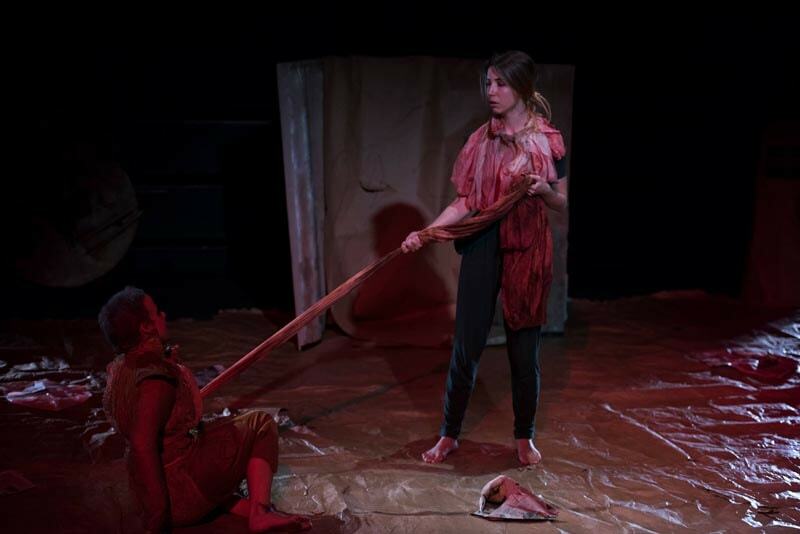 The Locked Door is a play about emptiness of the soul and mind. This kind of emptiness has to be covered from friends and family, and one has to lock the door and pretend that “Everything is going fine…”. Cast: Alexey Averkin, Yana Lyapunova, Alexey Shedko, Oleg Hill, Dmitry Turchaninov, Irina Kara, Vlada Lemeshevska. Nora and Torvald’s family seems to be very happy. They have three wonderful children, a beautiful house and a bright future ahead of them. But is their marriage as perfect as it appears if just a little secret can tear it apart? 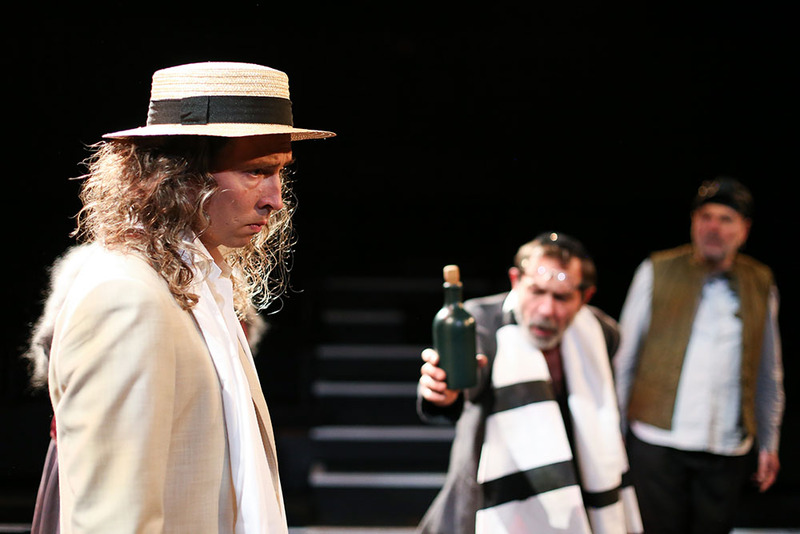 Henrik Ibsen’s play has been considered controversial and shocking due to its style and content when it was first staged. 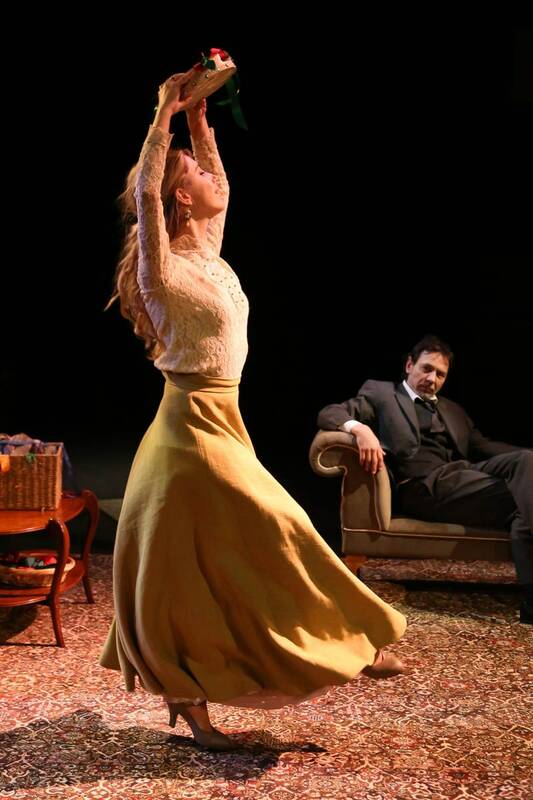 However, this play exploring marriage, trust and duty is still disturbingly relevant today. 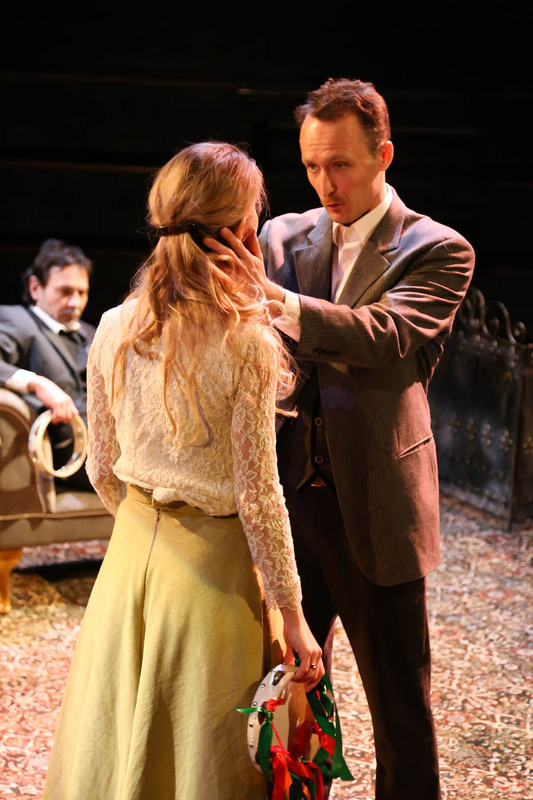 A Doll’s House is often perceived as proto-feminist, but Xameleon Theatre’s production is much more than a feminist play. It is a contemporary interpretation talking about the courage to be yourself, the right to make decisions and to take responsibility for those. It is the tale about the duty to oneself. The place to be- The Cockpit! 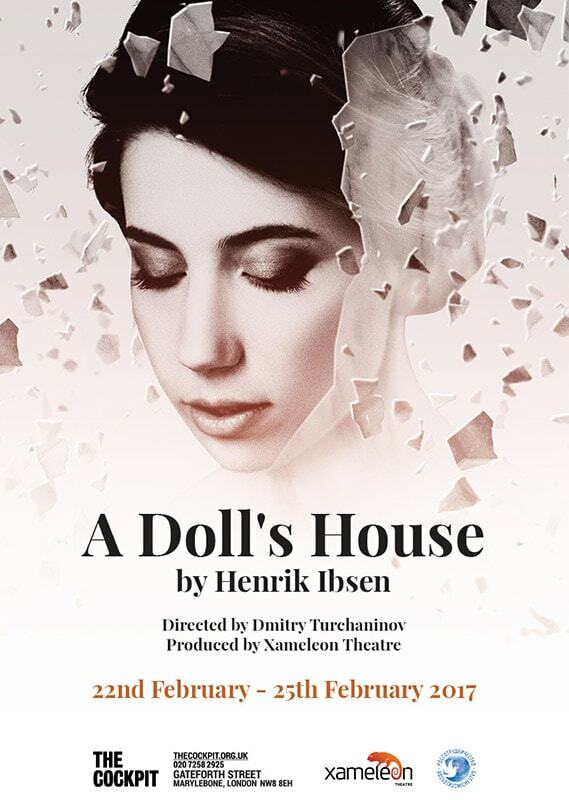 Xameleon production ‘ Doll’s house’ with a twist! Loved it! Very original play & talented performers! Thank you! OMG! These guys just smashed it tonight! Outstanding performances of Ibsen’s Doll’s House from the whole cast. So happy to discover this company. A fresh and lively revival of timeless classics. Be sure not to miss their next show. Best Russian theatre company in London. 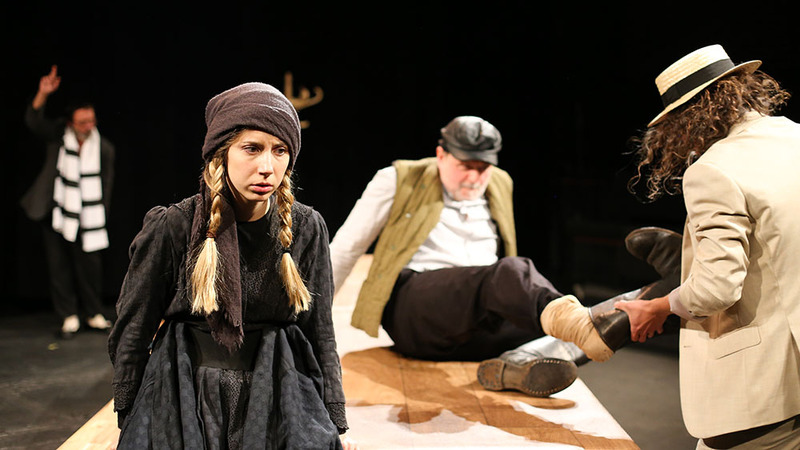 A stage adaptation of Isaac Babel’s selected stories. 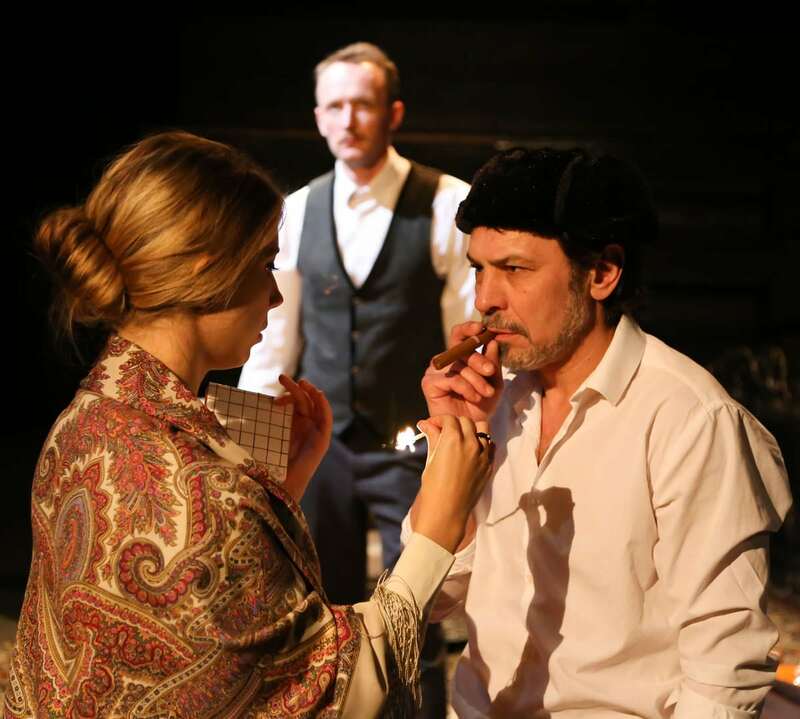 Following the success of A Dog’s Heart by Bulgakov, Xameleon Theatre continues its Russian Revolution season with a show exploring the dark and fascinating world of Odessa’s gangsters. The Russian Revolution and the civil war that followed were disastrous events in the lives of millions. The society was split apart and the gap was getting wider and deeper every day. Some people were able to find a place in new world, others were recognised as ‘needless’ and ‘undesirable’. 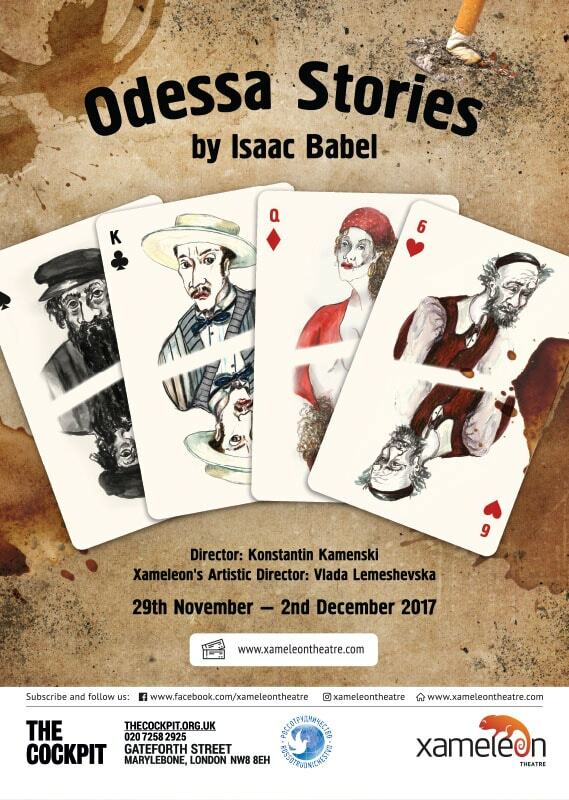 Isaac Babel witnessed and beautifully described The ‘Knights of Moldavanka’, the romantic thugs, all the beggars, small-time businessmen and smugglers that played essential part in Odessa’s Jewish community at the time. Could they fit in or did they become unwanted strangers, aliens in this new world? 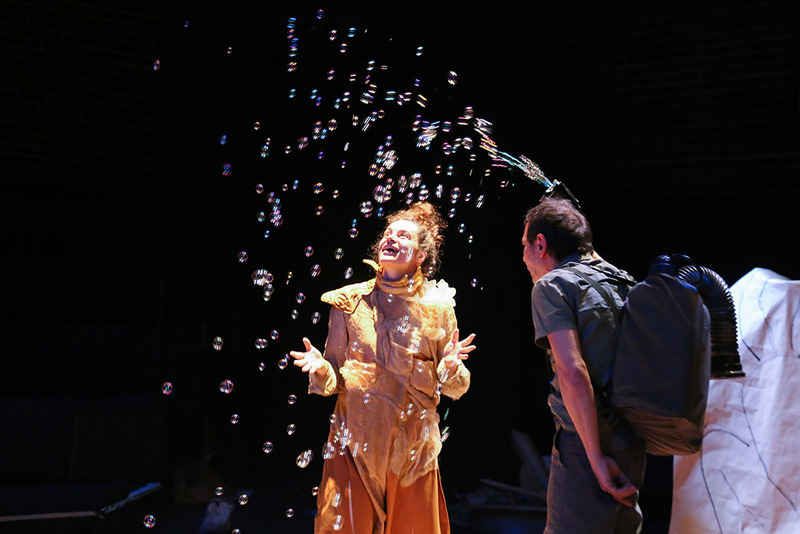 Explore Babel’s magical world with Xameleon Theatre’s new production featuring live music and strong ensemble led by Moscow Arts Theatre actor Alexey Shedko. Nearest stations: Marylebone (Bakerloo, National Rail), Edgware Road (Hammersmith & City, District, Circle, Bakerloo). Both are about a 7 minute walk. 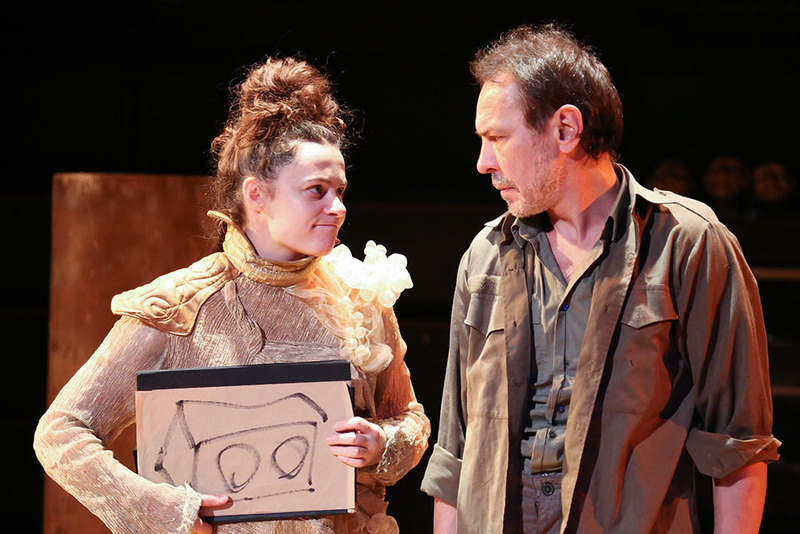 The show is a stage adaptation of Anton Chekhov’s selected short stories exploring love and relationships between people. 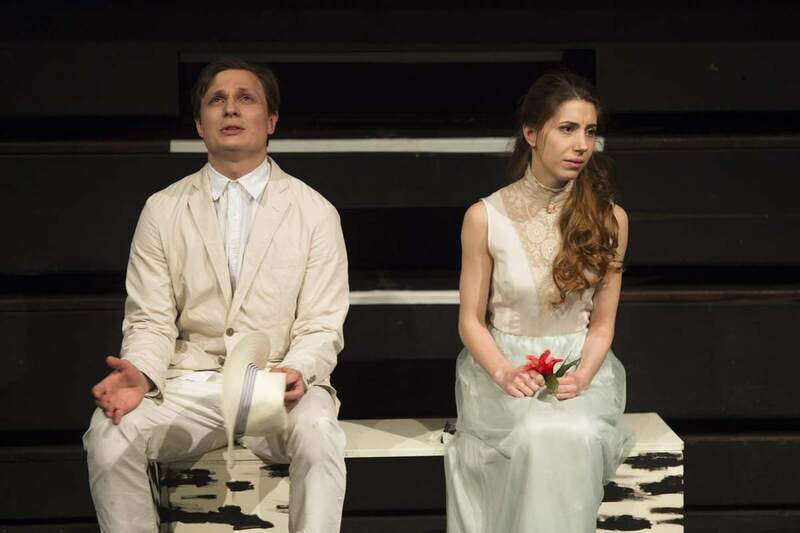 Outside Russia Chekhov is mostly known for his full-length plays, but his ironic, visceral, hilarious and sad short stories also offer incredible source of material for theatre. 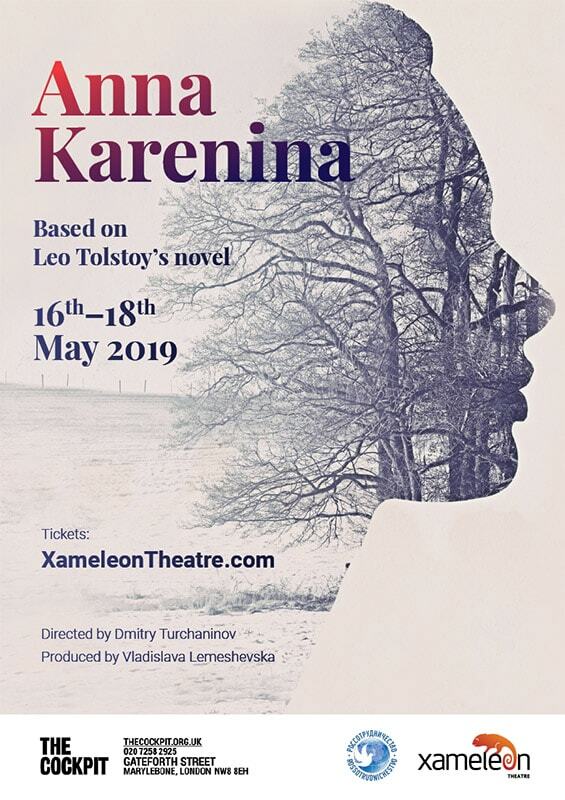 Alongside with famous stories such as “The Proposal”, Xameleon’s cast will present London’s audience with Chekhov’s less known work such as “A Daughter of Albion” and “The Witch”. 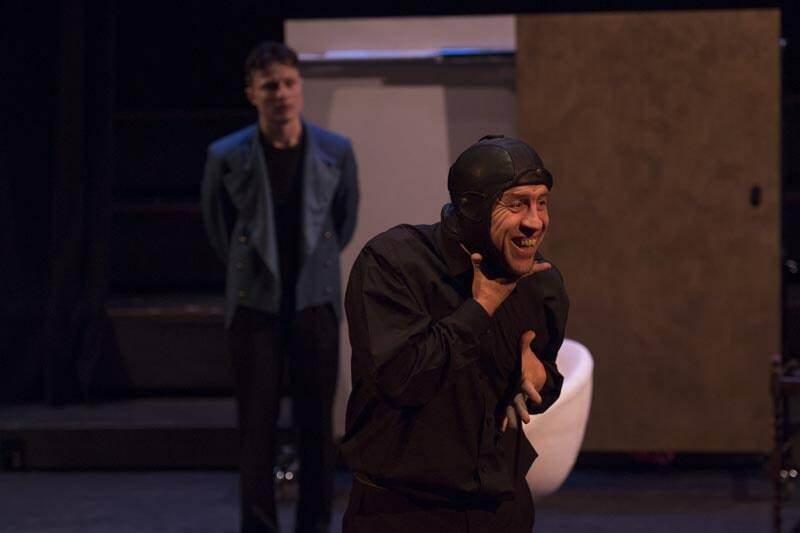 In our show, recognisable and timeless sketches of everyday life from the pen of one of the most loved Russian playwrights came together in a humorous and at the same time touching performance. Pierre Beaumarchais’s comedy “The Mad Day, or The Marriage of Figaro” has been successfully staged all over the world and also served as an inspiration for Mozart’s opera of the same name. 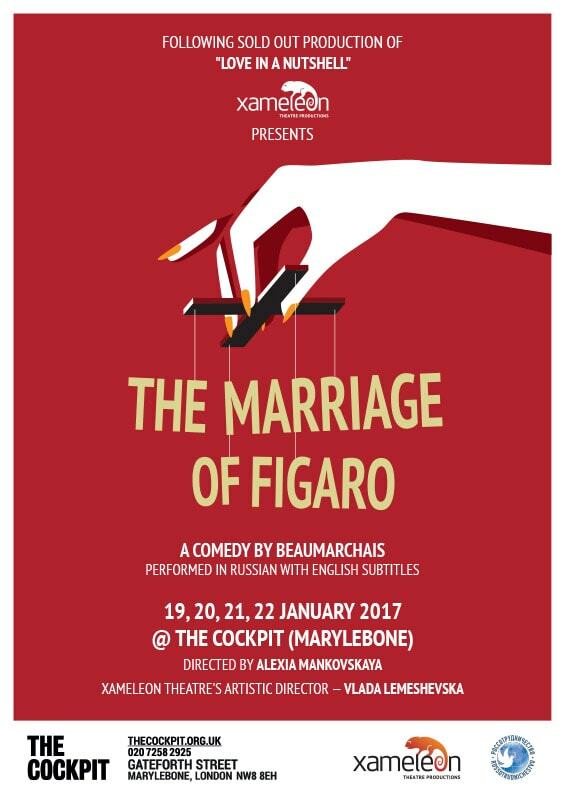 Russian speaking audience knows “The Marriage of Figaro” primarily as a production of Moscow ‘s Satire Theatre, with legendary Soviet actor Andrei Mironov in the title role. 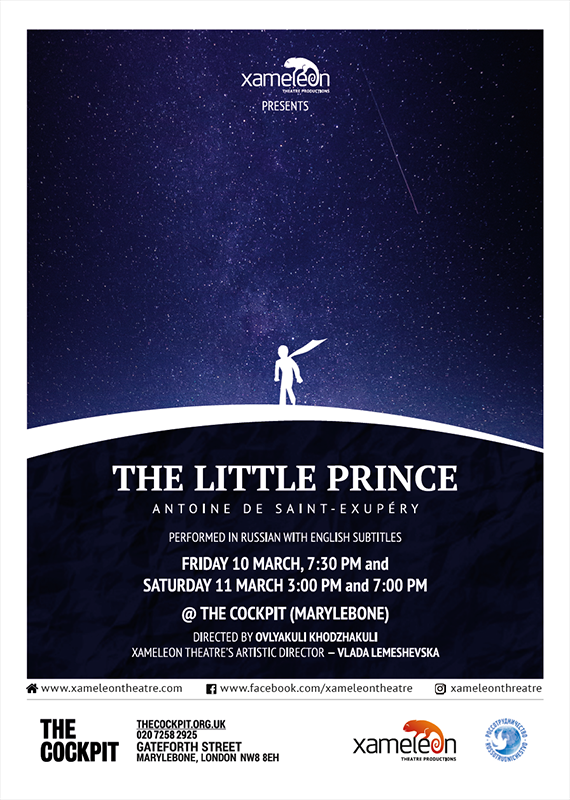 Bringing together a strong cast of Russian speaking actors, we decided to show our own take of this famous play. 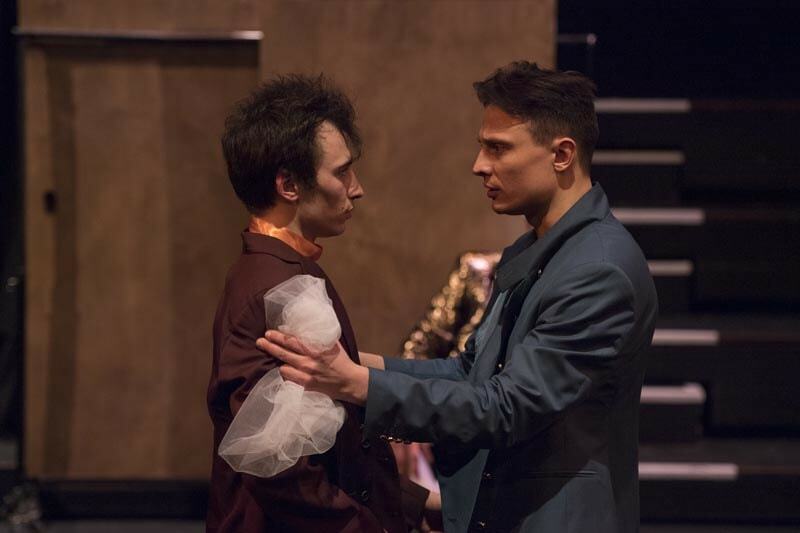 Adapting Beaumarchais’ original text, we tried to be faithful to the ideas of the author, who initially wrote this play for Theatre of Commedia Dell’Arte. 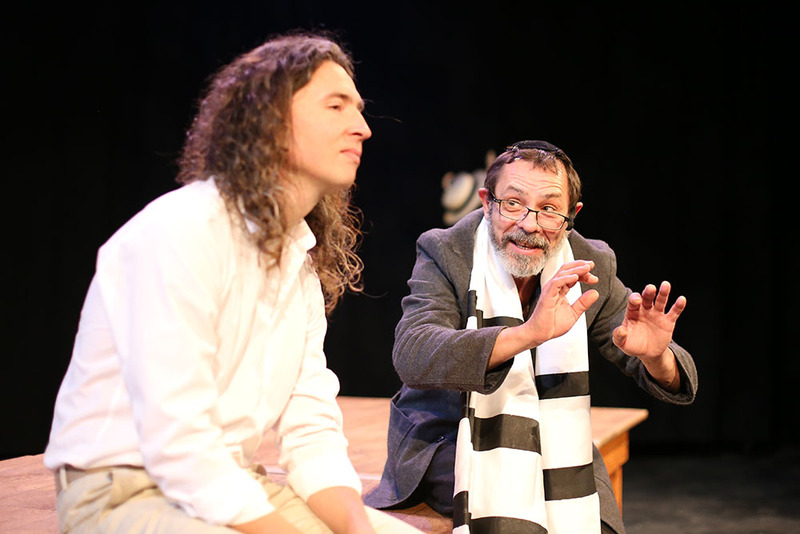 In our production, elements of Commedia are combined with traditions of Russian and Western theatre schools that were brought to this play by its creators. 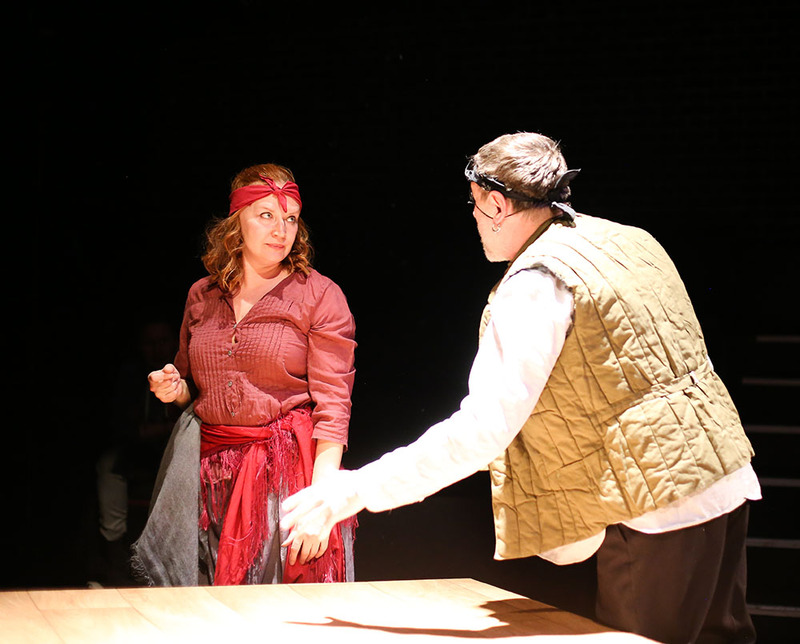 Even though it was written around the time of The French Revolution, this play remains relevant, raising ever present questions of desire, hypocrisy, love and politics. Facing those issues, our characters are going through an extraordinary journey taking place throughout the course of this mad day. 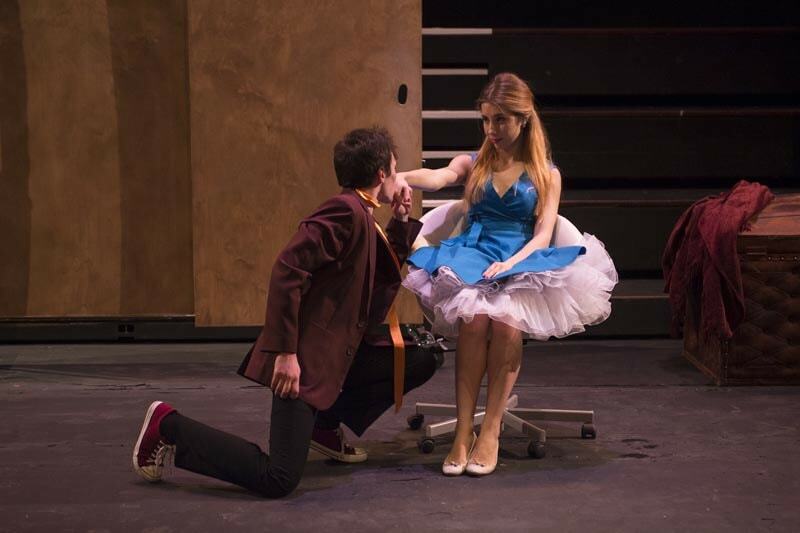 “The Marriage of Figaro” by Play to See. Sign up to the mailing list to find out about our future projects. 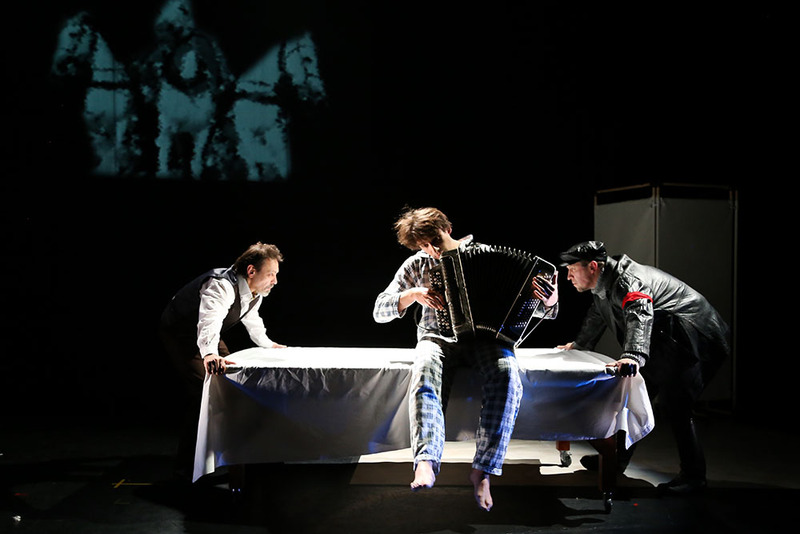 Xameleon Theatre introduces Russian theatre traditions to the UK theatre scene. Over last couple of years Xameleon Theatre presented various shows based on Russian and international classics, including Love in a Nutshell based on Anton Chekhov’s short stories, Odessa Stories by Isaac Babel, A Doll’s House by Ibsen, A Dog’s Heart by Bulgakov and The Little Prince by Antoine de Saint-Exupery. 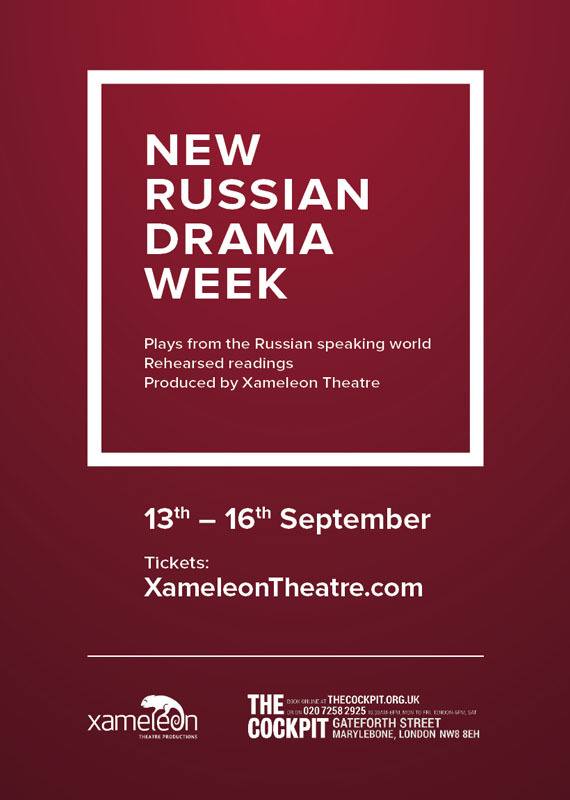 Xameleon Theatre also holds annual New Russian Drama Week – series of rehearsed reading showcasing some of the most important Russian language plays of the last 25 years. Vlada trained professionally in London at East 15 Acting School and graduated with a Master of Fine Arts in Acting. 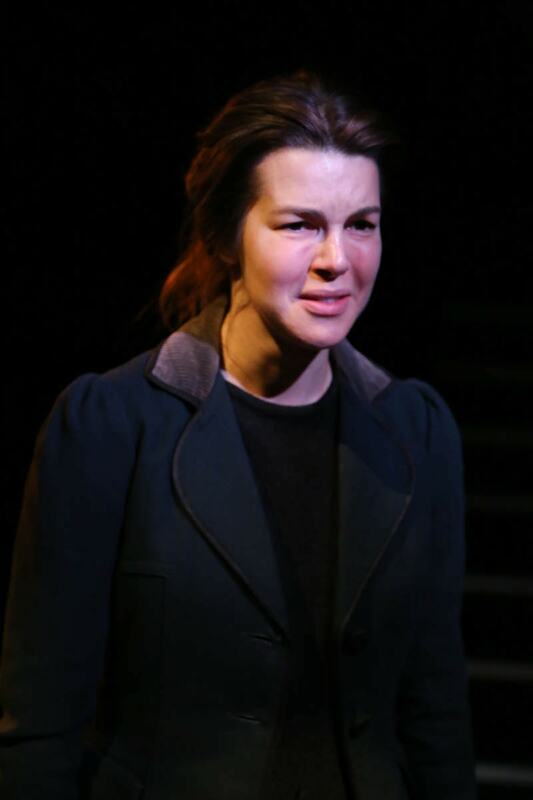 She participated in acting residencies at Shakespeare’s Globe and Russian Institute of Theatre Arts (GITIS, Moscow). 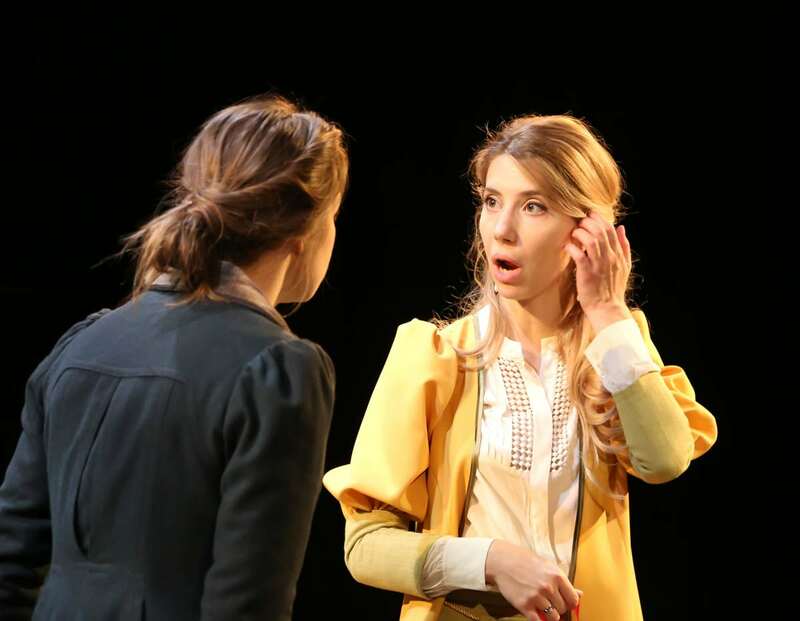 In 2015, she took part in The Summer Theatre School in Moscow, where she worked with the most prominent Russian theatre practitioners and performed in Evgeni Ibragimov’s play “ours AND ours”. 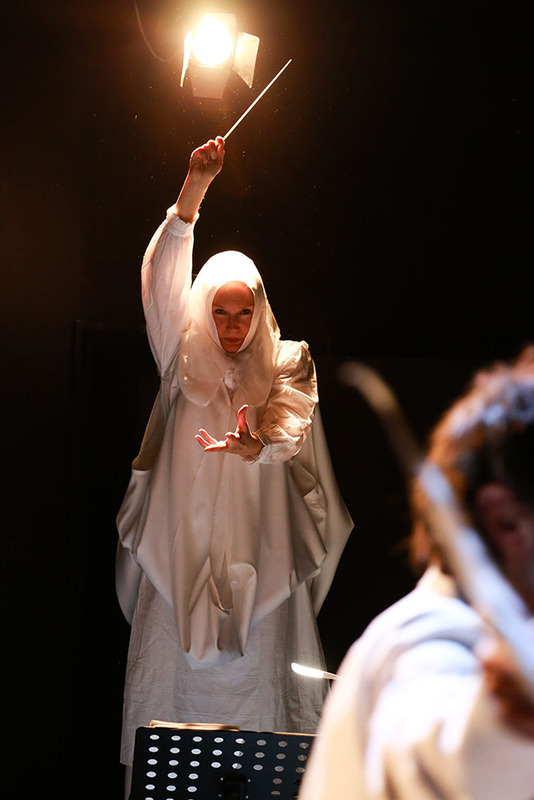 Vlada founded Xameleon Theatre in 2015 and she is the company’s Artistic Director and Producer. 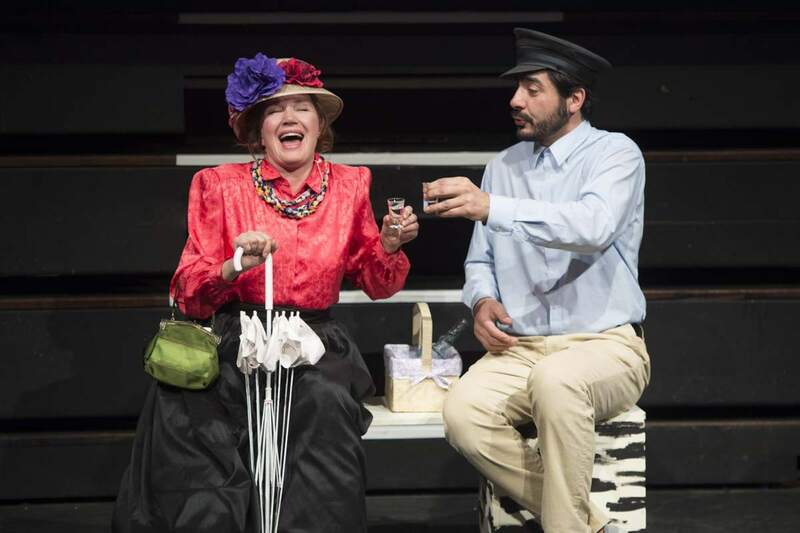 She also continues to work as an actress, and most recently performed a role of Suzanna in “The Marriage of Figaro”. Ovlyakuli was born in Turkmenistan. He graduated in Directing from Tashkent State and Art Institute and later studied under renowned Soviet and Georgian Director and Teacher Mikhail Tumanishvili in Tbilisi (Georgia). Between 1991-1993 Ovlyakuli was Artistic Director of the Theatre-studio and Youth Theatre in Ashgabat (Turkmenistan). 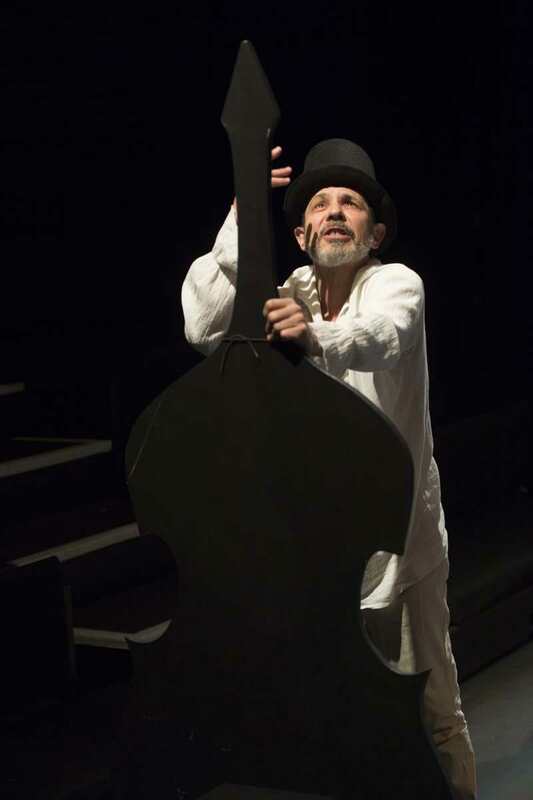 Ovlyakuli has directed more than sixty plays by authors such as Euripides, Sophocles, Shakespeare, Byron, Wilde, Mann and others. A number of his performances have been presented at International festivals in Finland, Ukraine, Poland, Romania, Russia, Italy, Germany, France, Switzerland, Luxembourg, India, Japan and South Korea. Irina Kara studied at The Gerasimov Institute of Cinematography (VGIK) in Moscow under the mentorship of legendary Soviet film director Sergei Bondarchuk. After graduating in 1989, she toured Canada with a performance group “The Players”, settling in the UK in 1992. Since then she has worked extensively in theatre, film and television. Her credits include “Lord Have Mercy” (film, dir. Vigen Chaldranyan), “Legends” (TV series, dir. Jamie Payne) La corrispondenza ( film, dir. Giuseppe Tornatorre) and “Snowman” (film, dir. Thomas Alfredson). Oleg Sidorchik graduated from Belarusian State Academy of Arts. Between 1985 and 2004, he worked at the Belarusian Young Spectators Theatre. Over the following three years (2004-2006) he was an actor at Belarusian Army Theatre. He joined Belarus Free Theatre in 2005. 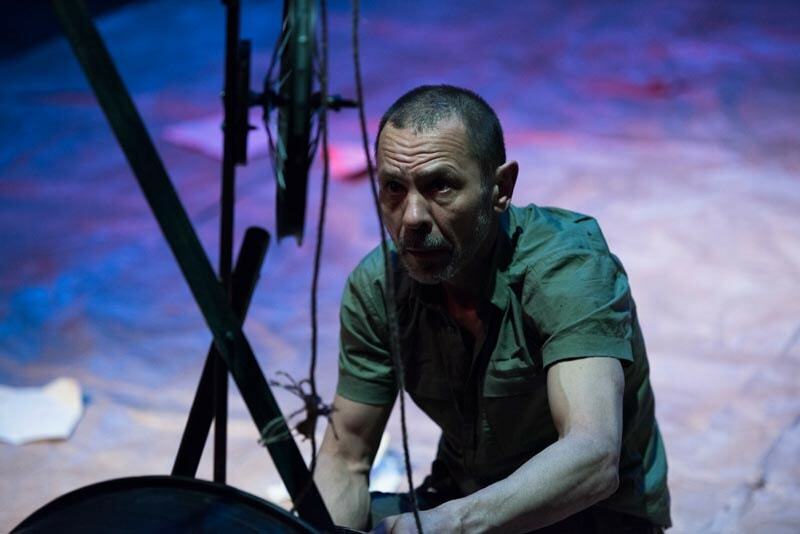 During his career Oleg played an extensive number of lead roles such as “Zone of Silence”, “Cowards”, “A Flower to Pina Bausch”, “Eurepica.Challenge”, “New York 79”, “To be Harold Pinter”. He also played the lead in the production of “King Lear”, which was commissioned by Shakespeare’s Globe Theatre and performed at its “Globe to Globe” Festival. Konstantin graduated from the Russian Academy of Theatre Arts (GITIS/RATI) as a Drama and Opera Director, a pupil of the renowned theatre maestro Roman Viktiouk. 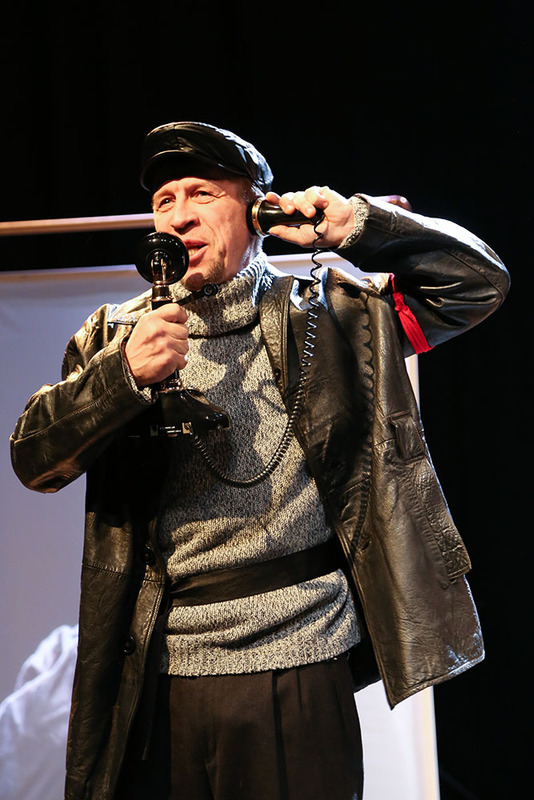 He ran his own independent fringe theatre in Moscow from 1999-2004. 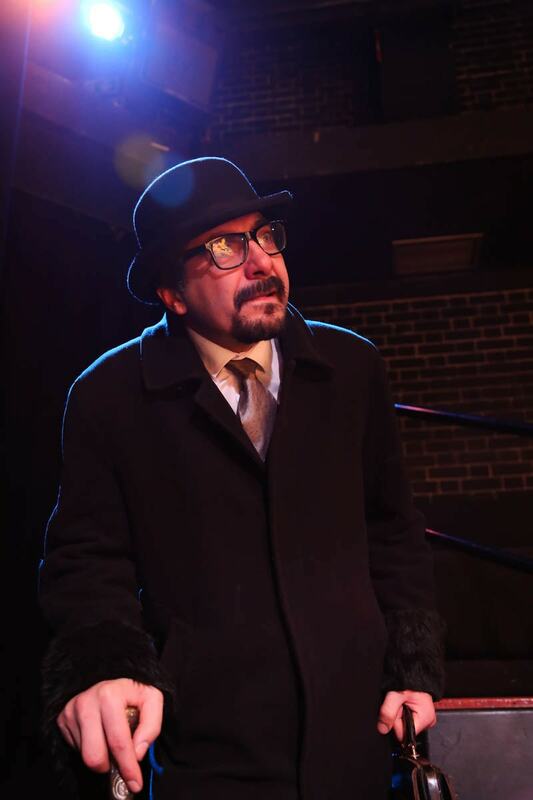 His production credits include several award-winning theatre productions. He has completed his MA in Advanced Theatre Practice at the Royal Central School of Speech and Drama in London. 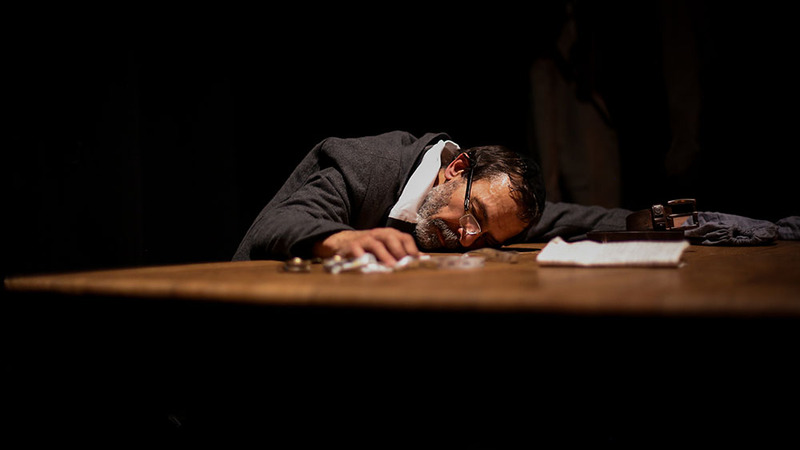 Since then he directed “Brodsky Station” about Joseph Brodsky’s life, one-woman show “Prison Psychologist” by Elena Isaeva and also co-directed “The Marriage of Figaro” for Xameleon Theatre. Maria Blatstein graduated from Technion — Israel Institute of Technology. She has been living in Britain since 2007 and studied acting in City Academy and Actors Studio in London. 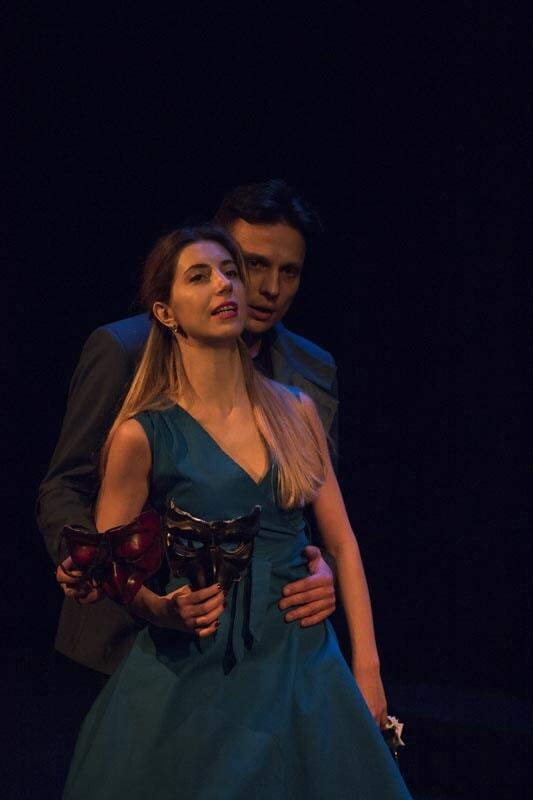 Maria performed in several music, theatre and film projects, including “Love in a Nutshell” by Xameleon Theatre and “The Cry of the Queen” by Orzu Arts. She is a also a permanent cast member of LiveWired — the resident comedy improvisation troupe at The London Improv Theatre. Dmitry graduated with Masters degree in Directing from Moscow Arts Theatre School. Prior to that he graduated in Acting from Lithuanian Academy of Music and Theatre and worked as an actor at Lithuanian Russian Theatre in Vilnius. He also performed the main role in the show “Walking with Dinosaurs” which was staged in Saint-Petersburg (Russia) in association with BBC Worldwide. He moved to London in 2011, having previously directed in Vilnius (Lithuania) and Saratov (Russia). 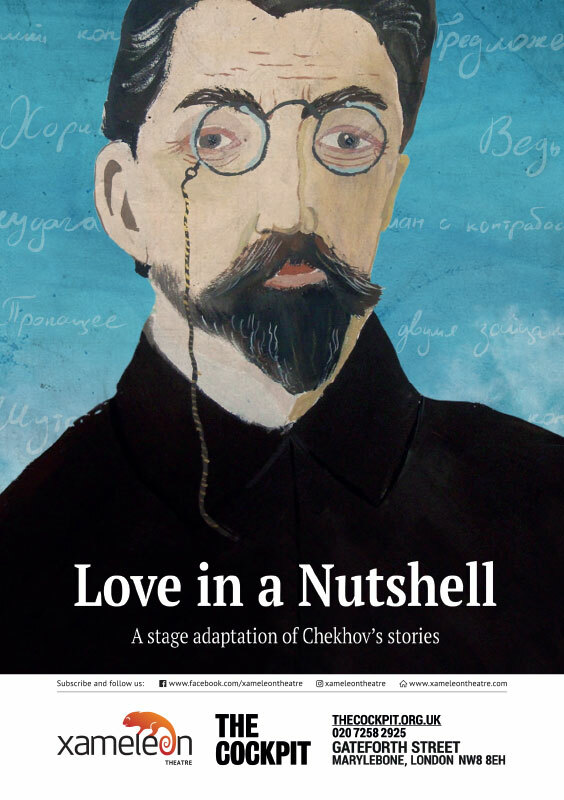 In London he directed a number of shows including an adaptation of Chekhov’s short stories — “Love in a Nutshell” for Xameleon Theatre. Vadim graduated from Russian State University of Performing Arts in Saint-Petersburg in 2010. From 2010 to 2015 worked at Samara Academic Theatre. During that time, he played various roles including: Romeo (Romeo and Juliet), Bulanov (The Forest), Egor (Our Kitchen), Gluhovtsev (Days of Our Lives), Curley (Of Mice and Men) and Malcolm (Macbeth). 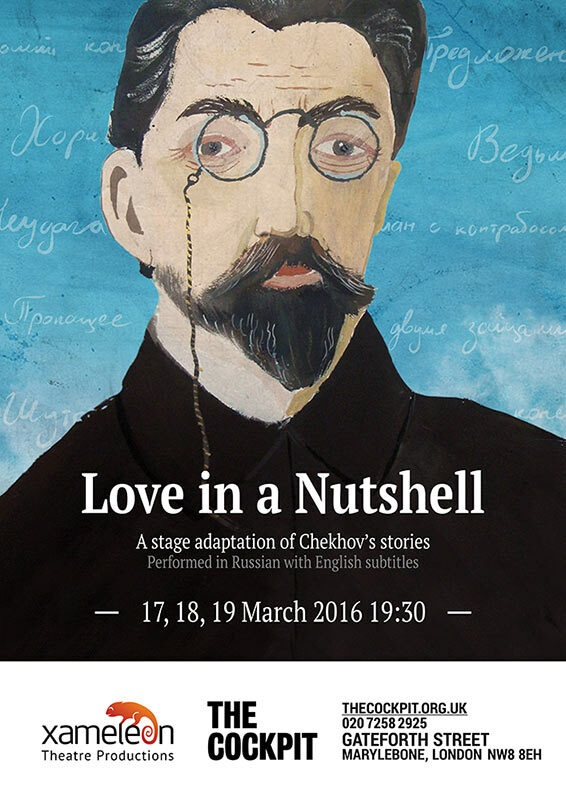 Vadim is playing title roles in “Love in a Nutshell” and “The Marriage of Figaro”. Oleg Hill graduated in 1989 from Riga Drama Studio in Latvia. In 2006 he moved to the UK, where he trained at London School of Performing Arts and since then has worked in theatre, film, radio and television. He has taken part in many projects and has worked with directors such as Mark Forster (World War Z), Frank Harper (St George’s Day), Brian Grant (New Tricks). Eimas Minklelis was born in Lithuania. From the early age, he was part of the local theatre group. Combined his interest in theatre with achievements in sports, becoming Lithuania’s champion in Athletics. 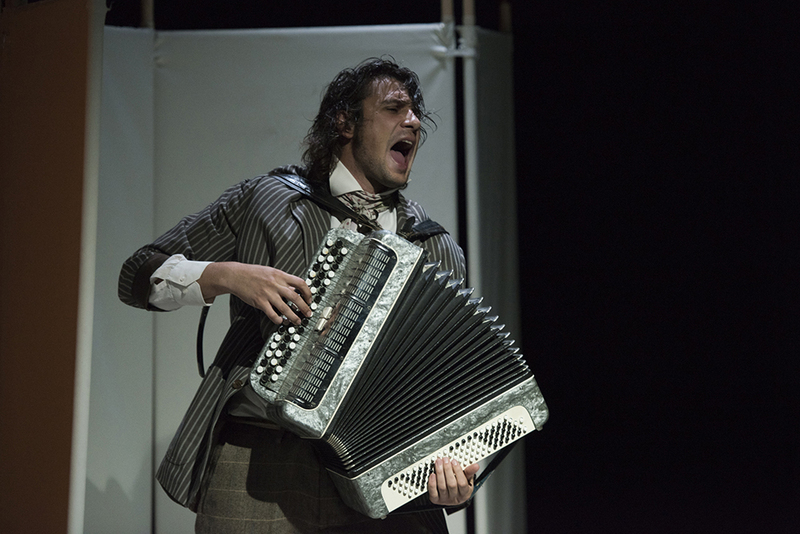 Eimas moved to London in 2001 and since then performed English and in Russian theatre. 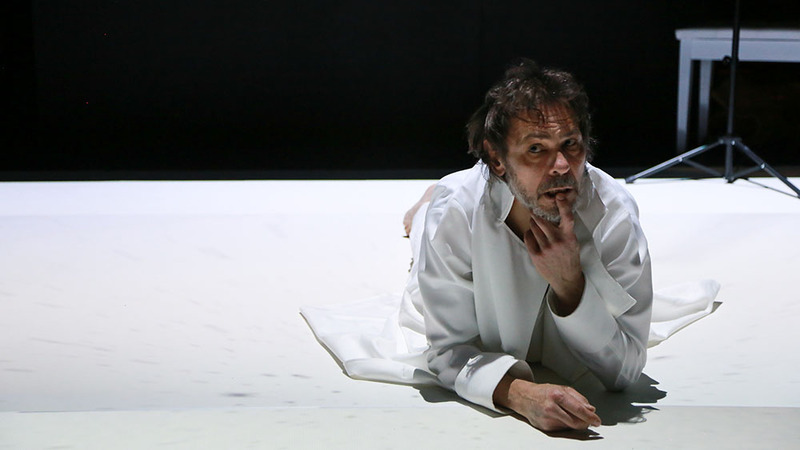 His credits include Astrov in “Uncle Vanya”, Treplev in “The Seagull” and pastor Manders from Ibsen’s “Ghosts”. 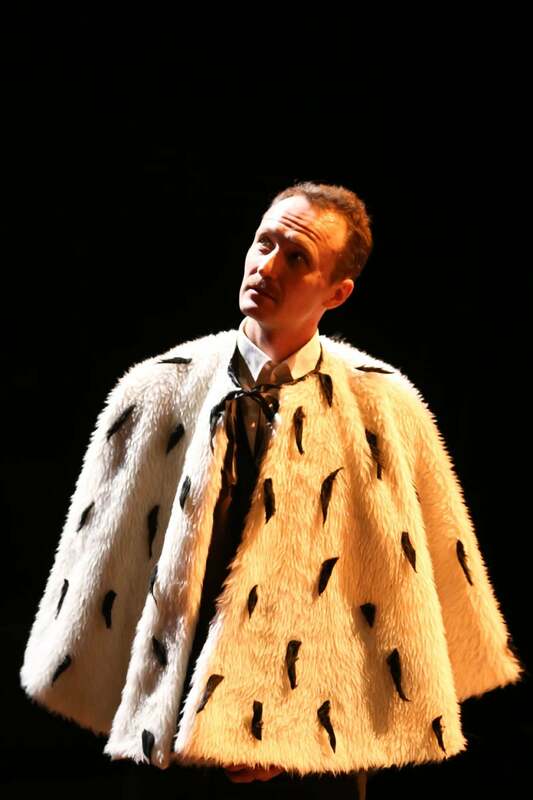 He previously worked with Xameleon Theatre, playing Antonio in “The Marriage of Figaro”. Aleksey was born in Penza, Russia. He studied acting at the theatre studio ‘Teatr na obochine’ (class of Marina Livinskaya). Aleksey had roles in plays such as ‘Christmas evening’, ‘Italian dreams’ and many others. 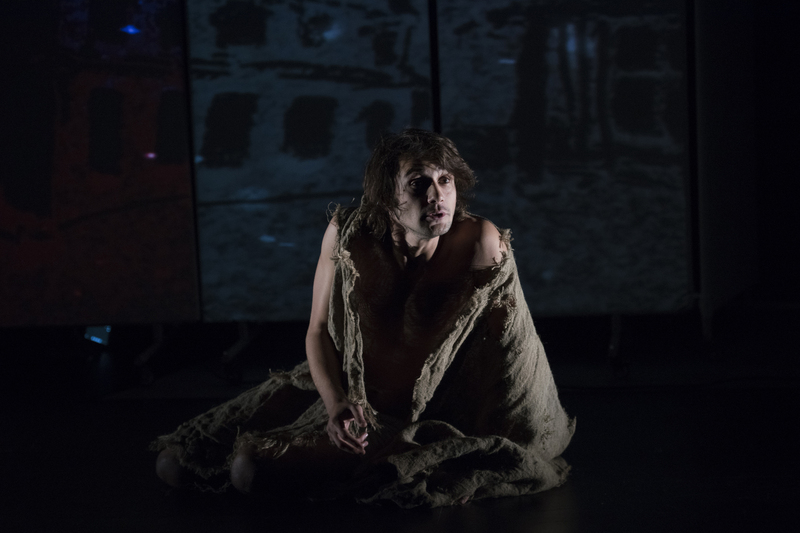 Aleksey moved to London in 2011 and since then has been engaged in various theatre plays.The most notable being Brodsky Station directed by Konstantin Kamensky, a show Alexey brought to Edinburgh Fringe Festival in August 2017. Alexey was born in Belarus. He graduated from Belarus Theatre Academy as an actor. Worked at Tambov and Grodnenskaya Philarmonic society and at Mikhail Finberg’s orchestra. In 1989 created the band “Doctor Moro” in Saint Petersburg. In 1991 Alexey started working at Gorky’s National Russian theatre in Minsk, Belarus, where he played numerous roles such as Podkolesin, Podsekalnikov, Amphitrion, sir Robert Chiltern, and others. Since 2009 Alexey worked as an actor at Moscow Arts Theatre, where he played Ahov in Ostrovsky’s “It’s not all Shrovetide for the cat”, Ignatov in “Tanya”, Belugin in “The Marriage of Belugin” among others. 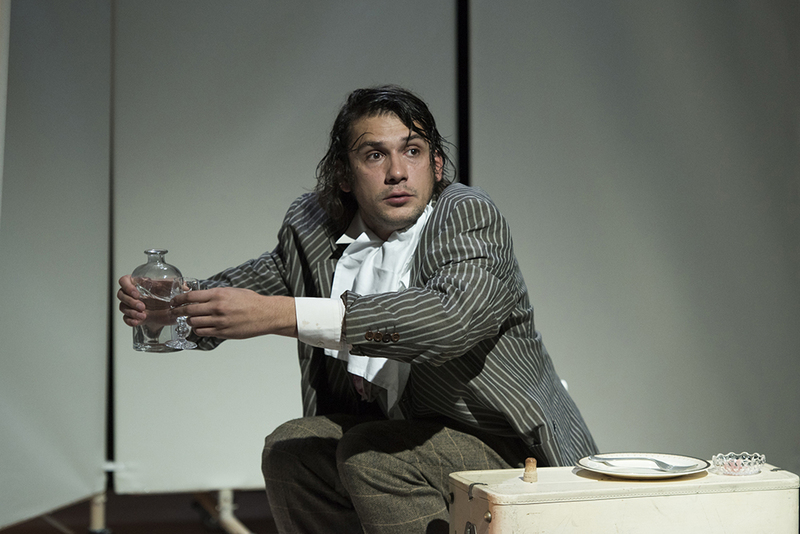 For Xameleon Theatre he played various parts in Odessa’s Stories, based on Isaac Babel’s stories. Irina was born in Russia. In 1995 she moved to Israel, where she graduated with MFA in “Stage and Costume Design”. Since 2003 Irina works as a stage designer and also creates puppets for theatre performances. 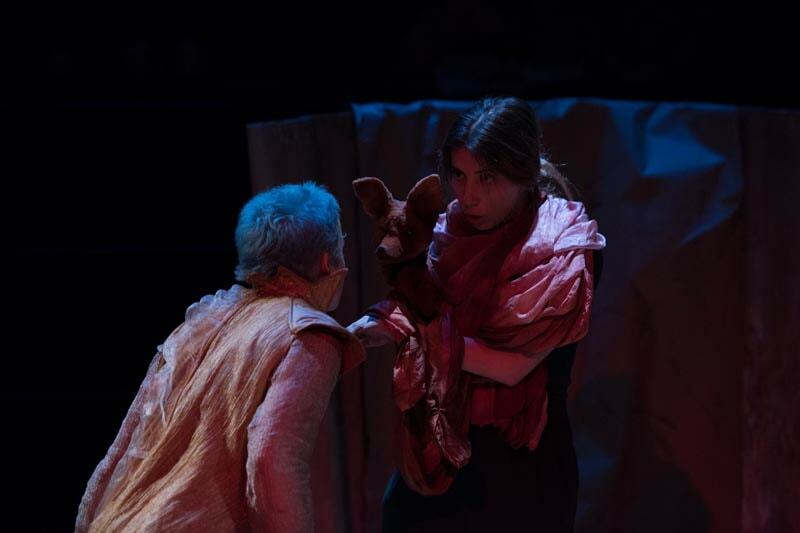 Puppets for show “Winter in Kalandia” won Shternfeld Design Prize and were chosen to represent Israel in prestigious Prague Quadrennial of Performance Design and Space. In 2008 Irina moved to England, where she continues working in theatre and also creates sculptures. Her exhibitions were held at Mall Gallery, Royal Society of British Artists and Cork Street Gallery. Irina created set and costume design for Xameleon Theatre’s productions of The Little Prince, A Dog’s Heart, Odessa Stories and A Doll’s House. Lena was born in Moscow. In 2012 she graduated from Moscow State University of Economics, Statistics and Informatics with BA in Linguistics. Taught English as a foreign language. Moved to London in 2014, where she graduated from Met Film School in Editing. Now studies Filmmaking at Raindance Film School. Lena works professionally as video content creator/editor. Works with Xameleon Theatre as a General Manager. Svetlana graduated from Moiseev Dance Academy in Moscow. She was a ballet dancer of Moiseev Ensemble and premier dancer of Irish show “Riverdance”. Works with Alive Dance Company. 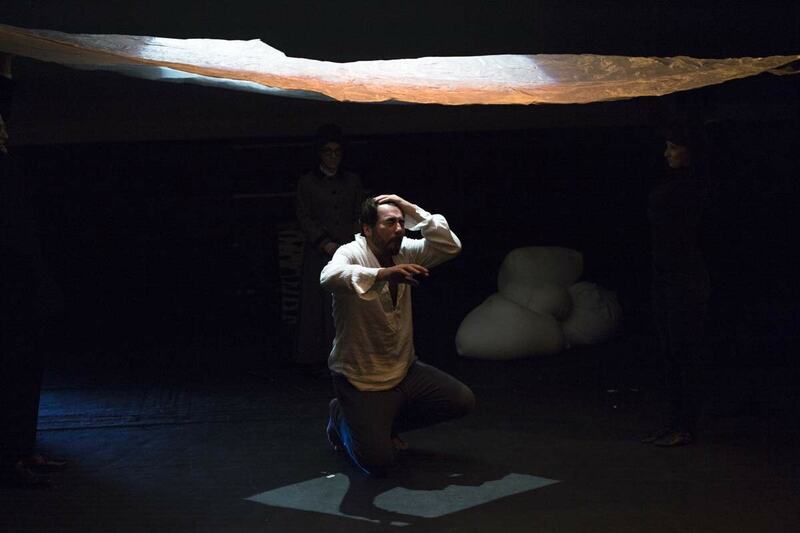 As a choreographer worked on Kosh physical theatre’s show The Square of Sky, BBC’s Wolf Hall; The Seagull for The Royal Court, Stones in His Pockets for Tricycle Theatre and social advert for Action Aid. Svetlana worked on number of Xameleon Theatre’s projects including Odessa Stories, The Little Prince and A Doll’s House. Jana holds a degree in Lighting Design and Practice from Wimbledon University of London. Jana worked as lighting designer and lighting technician on a variety of shows, live events, conferences and films. 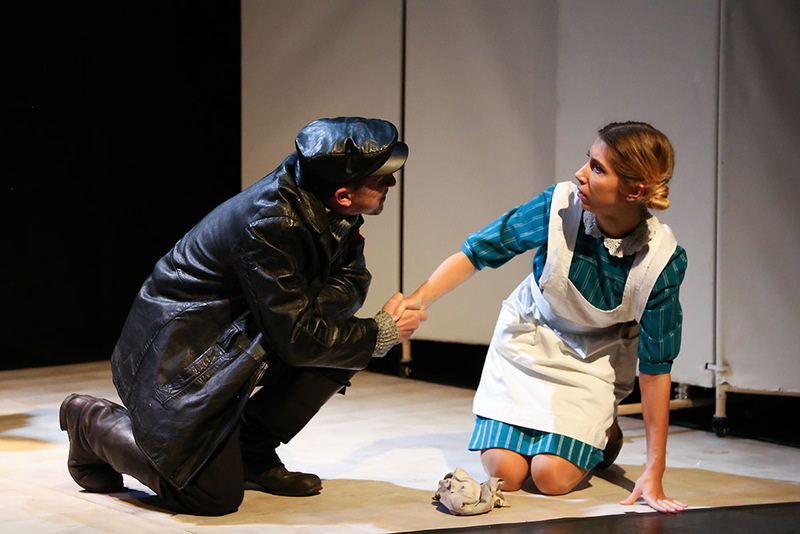 Work experience includes Slava’s Snow Show, Moscow City Ballet UK tour and Brief Encounter among others. 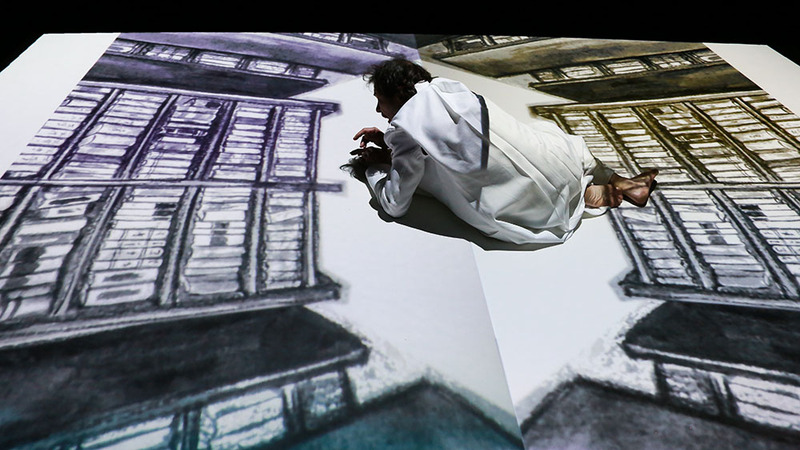 For Xameleon Theatre Jana created lighting design for Odessa Stories, A Doll’s House and The Little Prince.